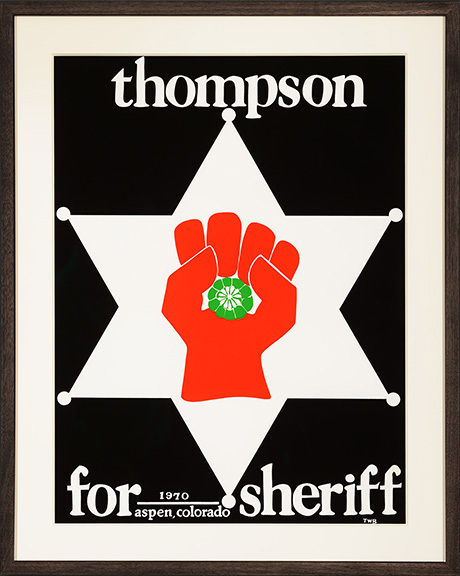 Hunter S Thompson came home from the 1968 Democratic Convention in Chicago disgusted yet motivated by what he'd seen: protests violently suppressed, riots, corrupt politicians and abusive cops. Back in Aspen, he found more of the same. The local police and sheriff's departments were targeting hippies, charging them with absurd crimes, harassing them on the streets and trying to push them out of town. He knew something had to be done and he realized it had to be done by people like himself. The hippies, intellectuals, and freaks had remained silent long enough. The time had come to organize and seize political power. Freak Power tells the story of Hunter's plan to become sheriff, take control of Aspen and transform it from a conservative mining town into a mecca for artists, rebels and activists. Through original print material from the campaign, photographs and political art, Freak Power chronicles a little known period in Hunter S Thompson's life, a period when he wrote prolifically about politics, the environment, drugs and American values. As the conservatives and Thompson led liberals battled it out, the campaign became fraught with violence, accusations and moments of absurdity that bordered on fiction. As weird a tale as Thompson ever wrote, his own forays into politics may have been his wittiest and wisest escapade of all.